For the caterpillars cut 1 pipe cleaner into 4 equal pieces. 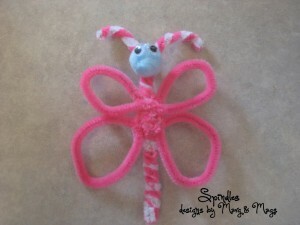 Wrap them around another pipe cleaner. 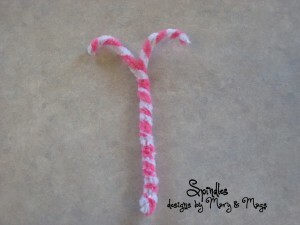 Bend and twist until they look like legs. 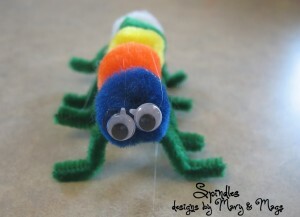 Glue on pom poms, eyes and craft stick. 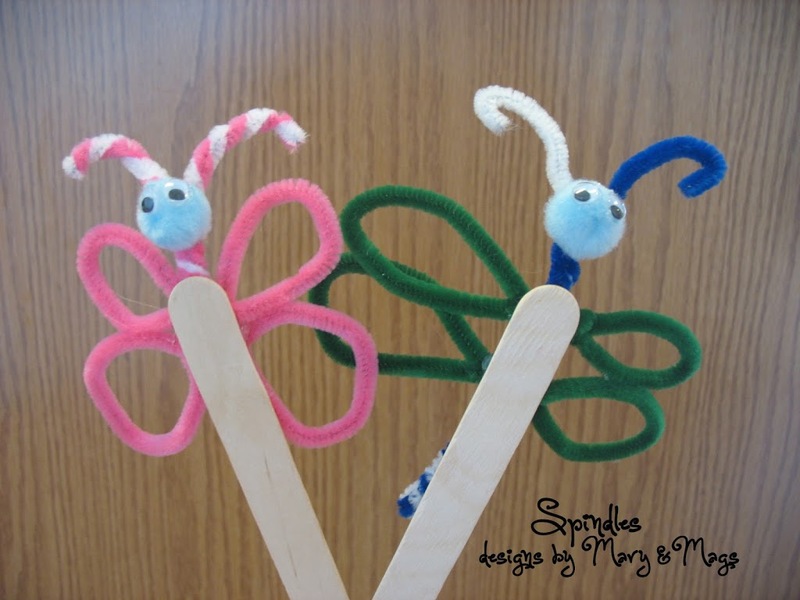 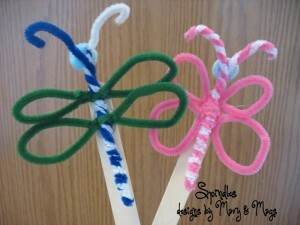 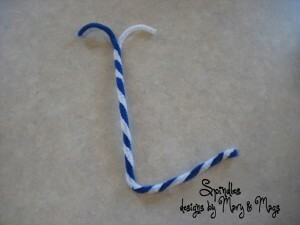 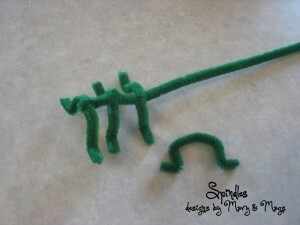 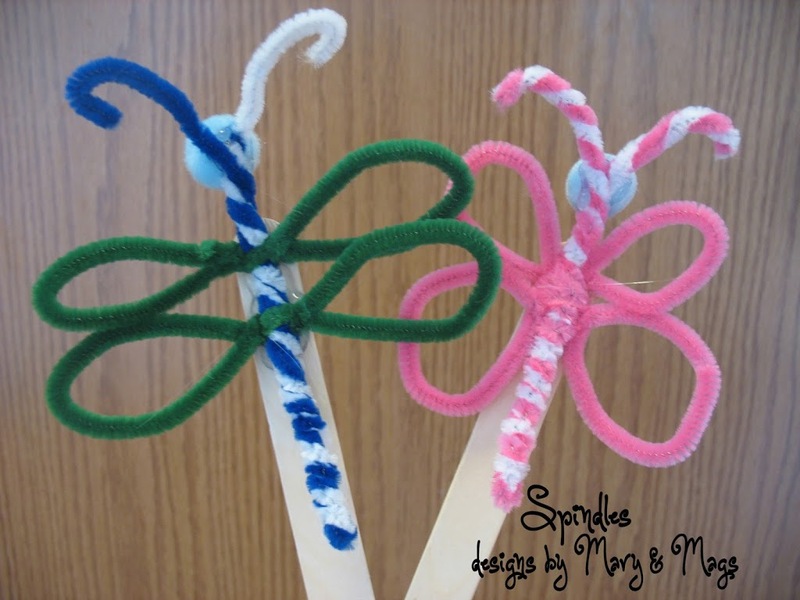 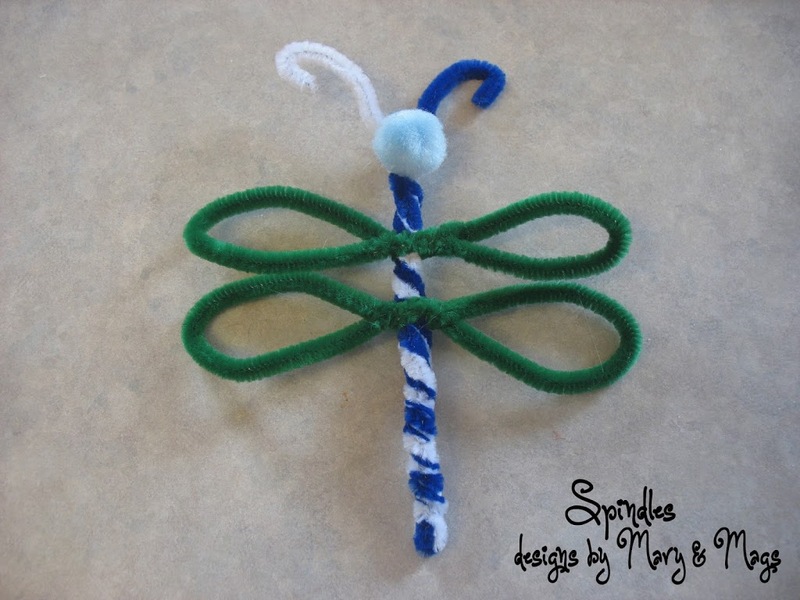 For the butterfly and dragonfly twist 2 pipe cleaners together, bend in half and keep twisting. Leave enough untwisted to make antennas. Bend and twist pipe cleaners until you have wings. 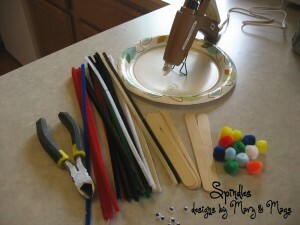 Glue pom pom for a head and glue on eyes. 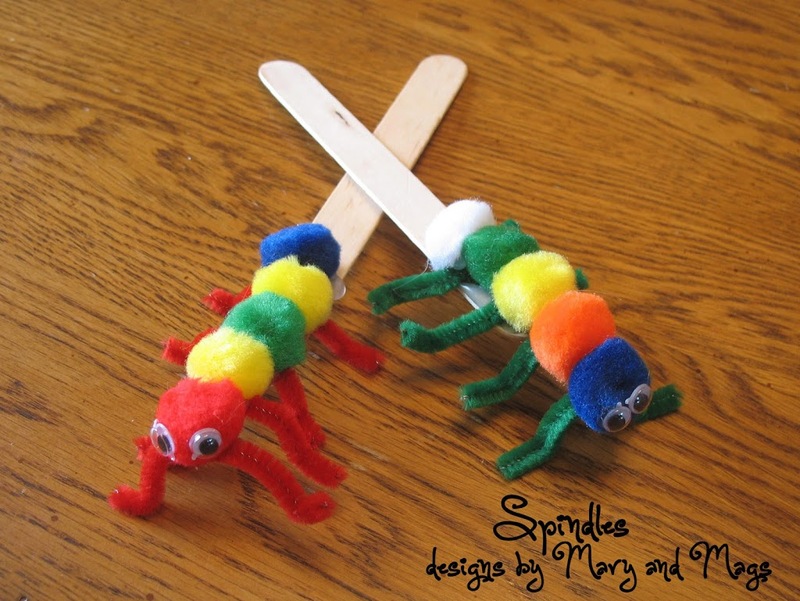 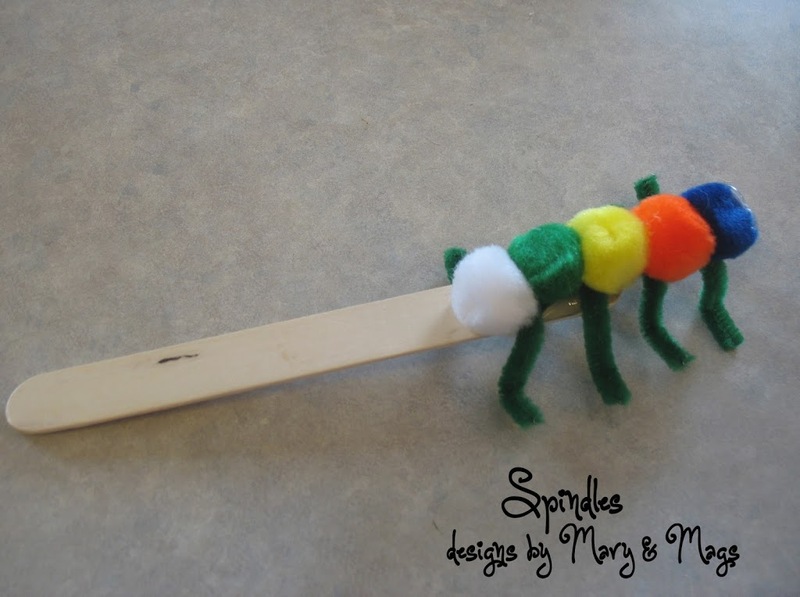 To help them fly glue on a craft stick.